The last few weeks have been full of work for me, and I wasn’t able to publish this episode on time, but here it is, at last. This time we’re going to tackle a super interesting, but also controversial topic we’ve briefly mentioned in the past : sampling. If you haven’t already done so, have a look at episode #2 where I’ve covered samples and defined them as “bits of audio”. They are pieces of sound indeed ; some of them are short, some are longer, and some are recognizable while others aren’t. To Tim Exile, who’s known for his unique live performances “It means grabbing a sound ; grabbing a moment. 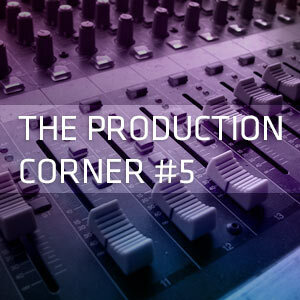 » The main reason for an artist/producer to sample a sound, is because it sounds good. It makes for some interesting source material. Here, let’s not go into the debate whether sampling is for the lazy, because you’ll soon realize that there’s much more to it. In fact, there are several kinds of ways to use samples, just like there are several sorts of samples. To begin with, there’re commercial samples : these are sounds you’ve been given the right to use in your productions, by purchasing rights to do so. For example, when you buy a sample pack from an online shop such as SampleMagic, SoundsToSample, or Vangeance, to name a few, you’re buying the rights to use the sounds they have created, and you’re bound to an agreement with them – mostly about keeping the package for yourself, and not selling them to someone else. But what happens when you want to sample something that’s not available for purchase, say, another record ? If you’re a budding producer and you want to do your own edit, chances are that no one will annoy you. Even thought it’s not a hundred percent legal, you can just go ahead, chop the part and have fun. But things get much more complicated if you have a hit record, or if you’re a well-known artist selling thousands of copies. And if you’re sampling a big act, who is backed by a big label, strong management and sharp layers, you better have your back covered : they will ask for their share. Problems arise when you’re no longer quite a budding producer, or a nobody. Using a distinguishable sample without clearing it is taking a huge risk, and basically, apart from stupid and reckless labels, no one will encourage nor allow you to do so. From a legal point of view, it’s stealing. Ugh. Enter sample replay ! The idea behind this service is that you’re no longer using the original, but a something that sounds like the original. If you use a professional service, it will sound so close that it will be hard to notice the difference. Or, it might just sound different on purpose. Let’s say you loved the synth on the original sample, but the vocal phrase wasn’t quite to your liking. No problem, they will replay only what you want. You should really go and have a look on their website, where you can listen to audio examples of their work, and I’m sure you will recognize many tracks. You will also see how many big labels and publishing companies in the industry rely on their service. But what about sampling a sound that no one will know where it’s from once it is in your production, or after being processed with some of your wizardry ? You’re in heaven then. The Chocolate Puma duo is known for sampling bits from obscure blogs, and I for one often pick bits from old funk records like single drum hits. One of the biggest databases about sampling is whosampled.com. It’s a fascinating website to explore, and just like they put it sampling is in the DNA of music. You’ll find tons of classics, ranging from Daft Punk and Pryda to Kayne West. Many artists, especially in the Hip Hop and Electronic music genres have been fine with sampling for years. It’s just the way music lives : it allows it to cross genres, and generations. Until next time, feel free to hit me up on Twitter if you’ve questions and suggestions.